With striking eyes and a handsome, rugged look, Birch makes one heck of an entrance! But don’t let his studly stud muffin features intimidate you. This young guy’s got a bouncy, puppy-go-lucky spirit of adventure and a love for companionship. He’s a boy with big dreams and an even bigger smile! Birch is also a free spirit with his own set of rules. He can often get a little too excited when he’s out and about, especially when he’s meeting other dogs! He’s eager to learn the rules of the walk and how to properly make new doggie friends! He’s also a little picky about the humans he hangs out with. He’s not interested in 5 minute friendships. He’s into the real thing. The long term, lifelong friendships that can withstand a lifetime of adventures, hikes, endless trails, and nap sessions! Birch likes his food. It just tastes so yummy! He sometimes gets too excited about his food and growls at those who he thinks might take it away. He’s also not a fan of strangers coming to meet him in his kennel. That’s his private pad! He’s gotta get to know you before you just show up at his man cave! Once he gets to know you and he’s given a little more wiggle room outside his kennel, he warms right up and is already asking you to take him on an adventure. Right now, Birch is dealing with some heartworm treatment. For that reason he hasn’t been able to be his fun-loving, active self. It’s also why he now hates the vet! He’s totally sick of it! All those flippin’ vet visits are killing his vibe! This could mean that he’ll react poorly to future vet visits. But really, who could blame him? Birch would be the ultimate trail mate and sporty sidekick. He could also be a serious contender for the home’s top couch potato and cuddle king. He’s the best of both worlds and, no matter what you’re doing, he’s the type who’s happy to be doing it with you. Birch is looking for a family who lives a more active lifestyle, and who would have the patience and commitment to help him work on some of his behaviours. If there are other dogs or teens at the home, he’d really appreciate you bringing them here for a meet and greet. 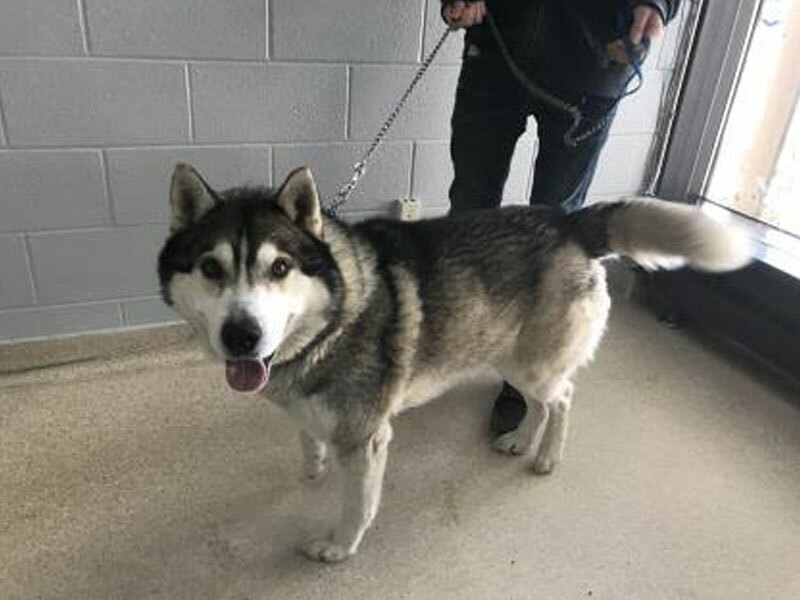 However, because he is undergoing heartworm treatment, he should, for now, be kept separate from other animals as he is on exercise restrictions and will not be able to run and play. For now, he likes to keep busy with interactive toys and training to help drain his energy. If you’re interested in meeting him, or want to know more about him, please contact us at [email protected].